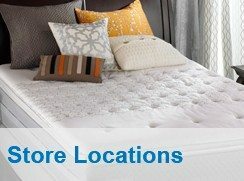 Here are some tips when shopping for your new mattress set. Make sure you select a reputable dealer. Choose someone that has been in business for a long time. The longer the better. 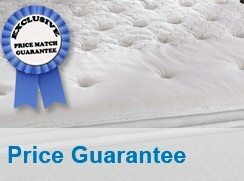 Mattress sets have a warranty. Local manufactured brands DO NOT have the dealer base. 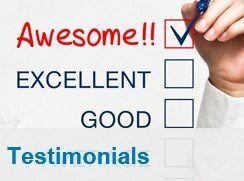 Buyers have the experience of picking out models at the manufacturer’s showroom that will give you the most features and benefits. Get more bang for the buck! Name brands have manufacturing facilities located throughout the United States in order to service your warranty wherever you may move. Name brands are known to very strict specifications and guidelines in manufacturing their mattress sets. Name brands are known to have the very latest in advanced sleep technology. Name brands can be purchased at a much lower price than a comparable non-name brand model. Be patient. It usually takes 30 days for you to adjust to the support of your new mattress set! The support you were getting from your old set versus your new one is quite different. Your new mattress is supporting your back better and sometimes it takes a while to adjust. Body impressions may occur onn the new set you have purchases especially pillow tops. Your new set is not sagging or defective. This is normal due to the fact that today’s new matress has so much more padding and cushioning. These elements are simply conforming to your body, and a little indentation where you sleep is normal. Please rotate your new mattress about once every 2 weeks for the first 3 months to help break it in and equalize the body impressions.